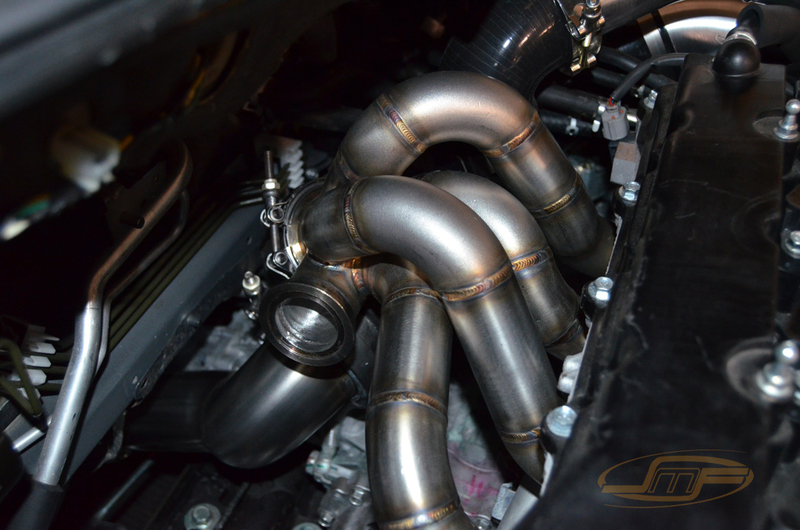 So you want to run a V-Band turbo on your EVO X? Then we have exactly what you need! 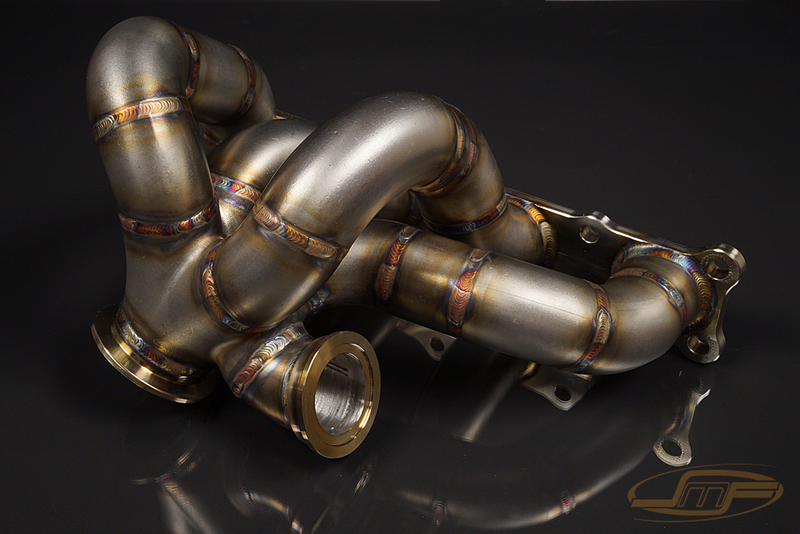 This is our EVO X V-Band bottom mounted turbo, tubular exhaust manifold. 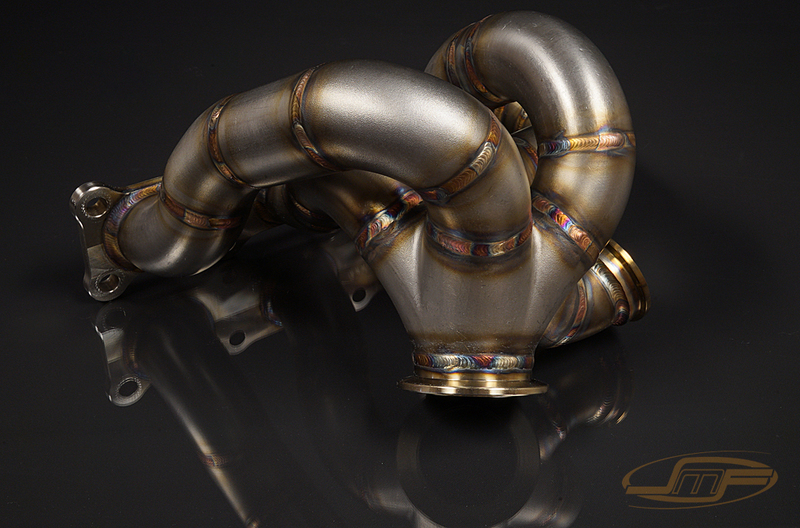 Made from thick walled 304 stainless steel tubing. Featuring multi-pass TIG welded joints, investment cast merge collector, and CNC machined 1/2" thick 304 stainless steel flanges. The ports are gasket matched and smoothed to perfection for the best of flow, each flange is surfaced for a leak free seal. 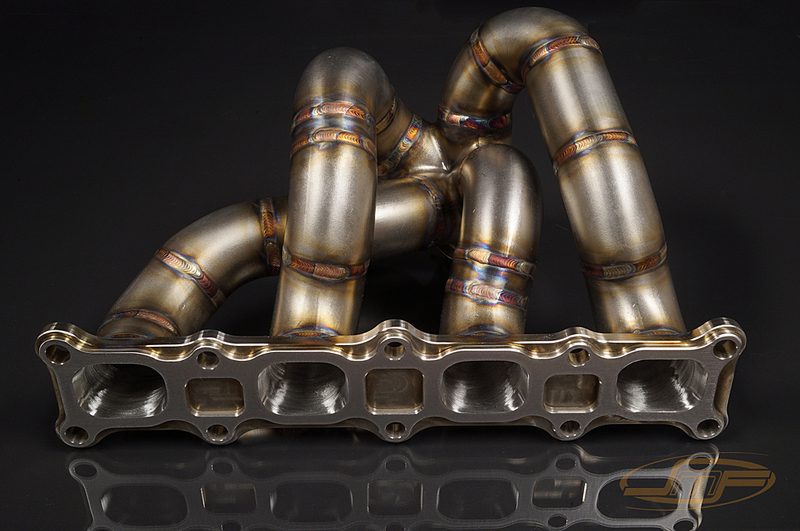 Allows clearance for up to an S cover compressor housing. Designed for TIAL GT28/30/35 housings or PTE V-Band housings. V-band clamp sold seperately. Depeding on compressor housing size some cables and hoses may need to be tied back to avoid turbo contact.